Hello! Hope your week has been going well! Right now, I’ve got sheds on the brain. You see, after much thought we have decided to renovate the detached garage of our rental home. Inspired by the many garage remodels that I have seen recently, I’ve taken the leap and started my own! Don’t worry, I will be documenting and sharing the process with you too! Turning this rather dilapidated garage into a fabulous living space will be quite the adventure but now that the picture is becoming clearer, I believe a shed will be in order. 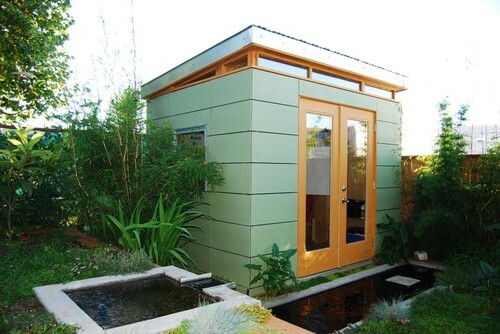 A quaint little outbuilding with character, style and of course, functionality. 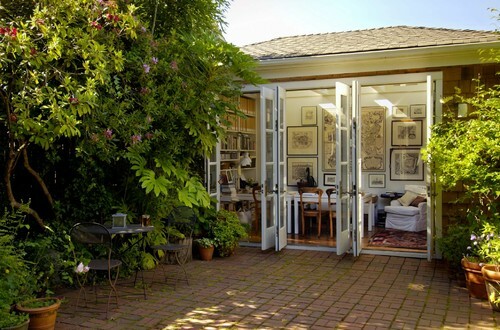 I especially love this dining “shed”. It reminds of my beach house, where we converted the garage into our dining hall. This space gets so much use and we’ve made so many good memories around that old table. Okay well, I better keep gathering my ideas and plans for the remodel. I will keep you posted! 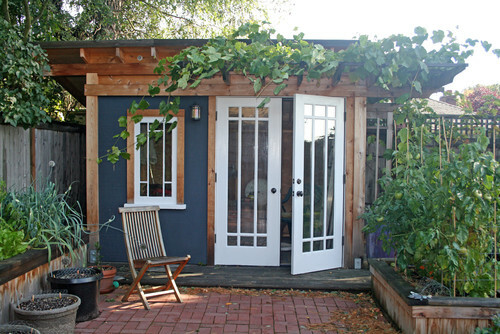 Do you have a shed or garage that you use as a living space? I would love to hear about it!